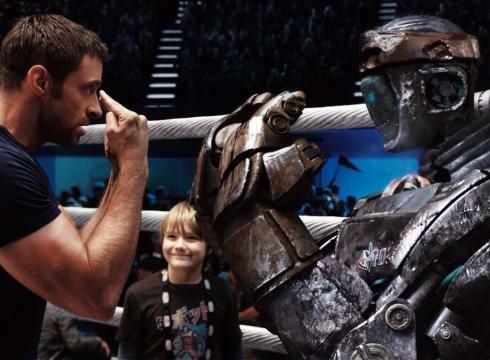 Hubris takes Hugh Jackman‘s character, Charlie, to new lows as pride cometh before each crushing blow. 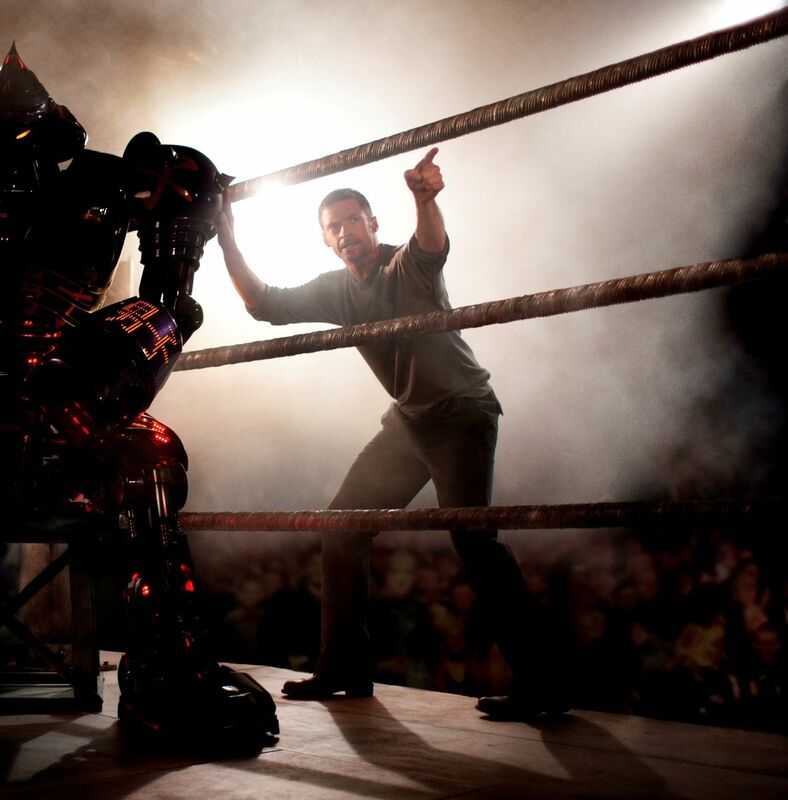 High roller and a bad bet, Charlie takes robots into the boxing ring in the not-too-distant future. 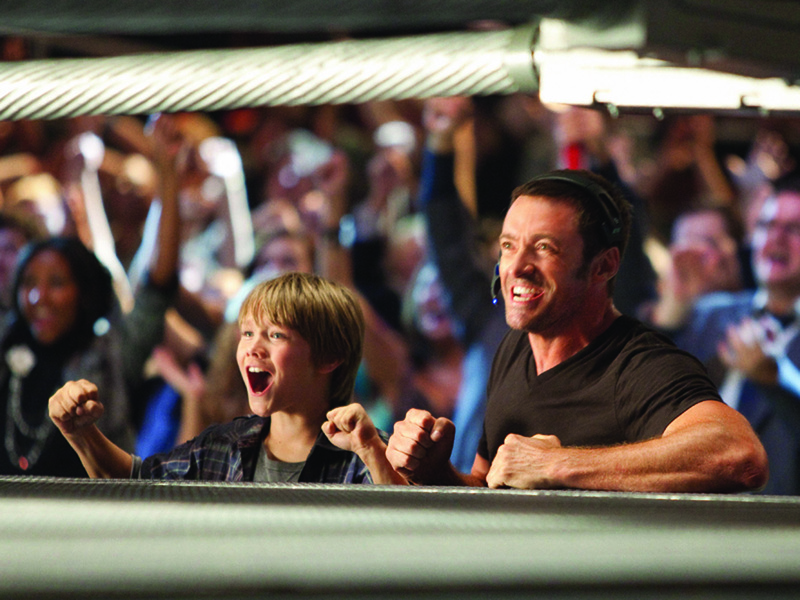 A favorite scene overtly nods to Rocky-lore as Jackman dons the grey sweats and hoodie to train for the big match. This is not a fearfully deep film. Most characters wax one-dimensional. But it is redeeming and well-made. 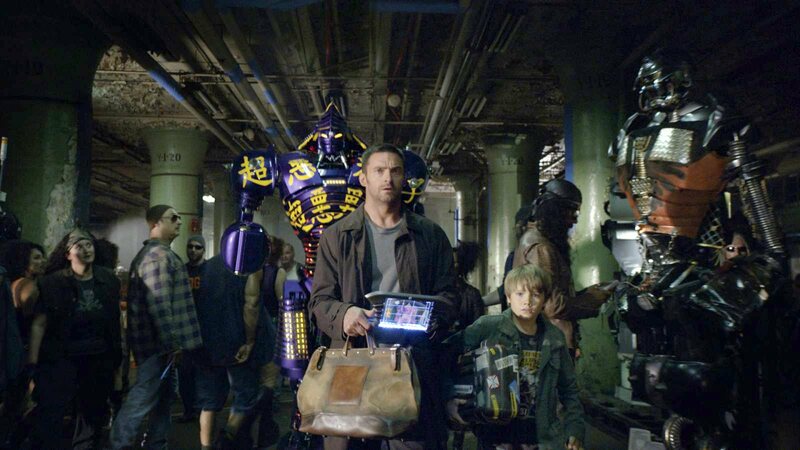 Spielberg and family film director Shawn Levy (Date Night (2010), Night at the Museum (2006,2009), Cheaper by the Dozen (2003), cast a new “Elliott”- a boy without a father who befriends an “alien” and learns to fight for family. Max, the boy, the mentor, the prize, rolls all of his punches into one soulful, Dr. Pepper-selling Beiber-ite. And E.T. to this Elliott is Atom, the ancient sparring robot who mirrors the father figure beautifully until the finale in which they act as one – symbiotically fighting to win back the boy. Ah, to be fought for. I believe it’s what we all want.